Although marketed as a gel formula, I find the it to be more of a gel-lotion, since it comes out opaque and white – I generally associate gels with being clear or jelly-like. Doesn’t leave white residue – at all. 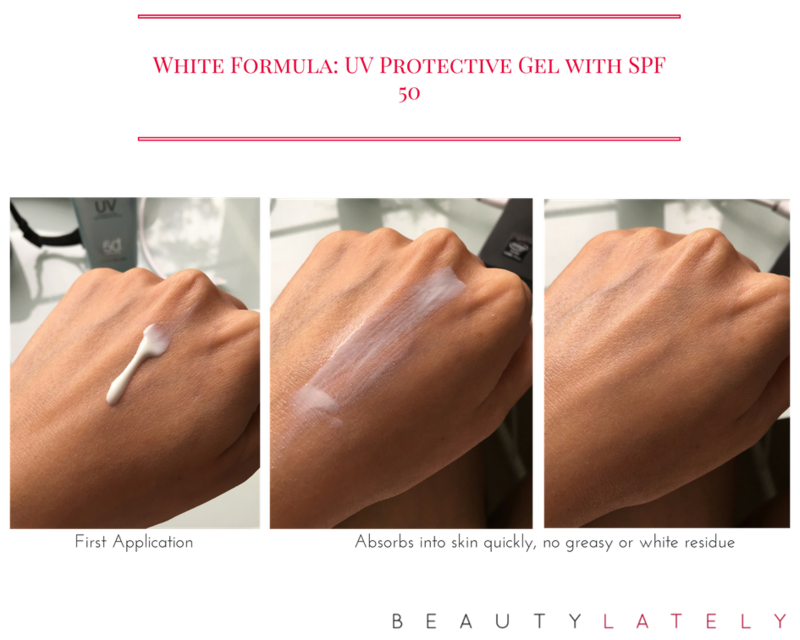 You can seen from the pictures below, the third picture has the product completely absorbed with no white sheen that many high-SPF products tend to leave behind. No greasy feel at all. 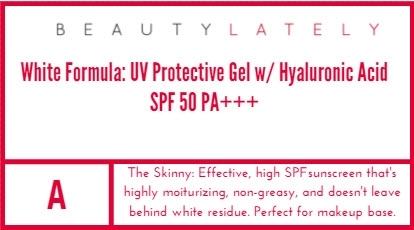 Since this is a gel formula, there’s no greasy or oily feel that I associate with heavy sunscreens. Moisturization ability – This is a great base to use for makeup because it leaves skin so hydrated and makeup tends to adhere to skin better. 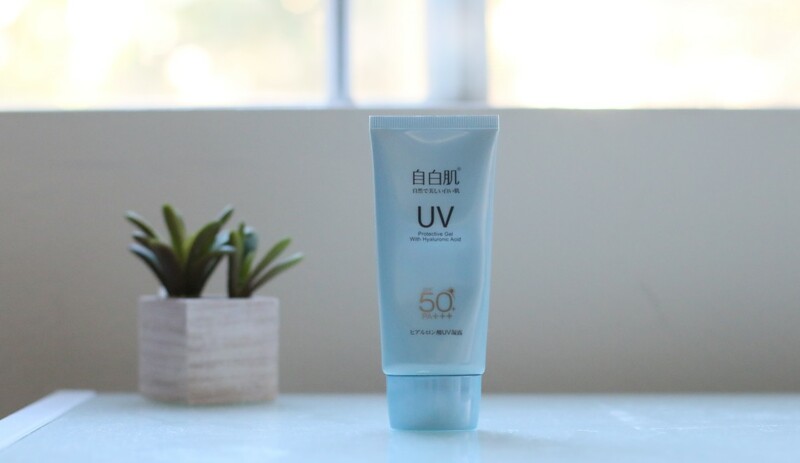 It’s important to keep in mind that Taiwan is quite humid and hot during summer months, so this product is meant to be a light, high SPF sunscreen that is light to the touch and delivers great moisture. Basically checks all the boxes that I look for in a sunscreen in a very affordable price (NT$ 380 translates to roughly $12 USD). The brand is known for good products at a fair, accessible price point, and is mainly sold at Cosmetic/Pharmacy shops like Cosmed or Watson’s in Taiwan. 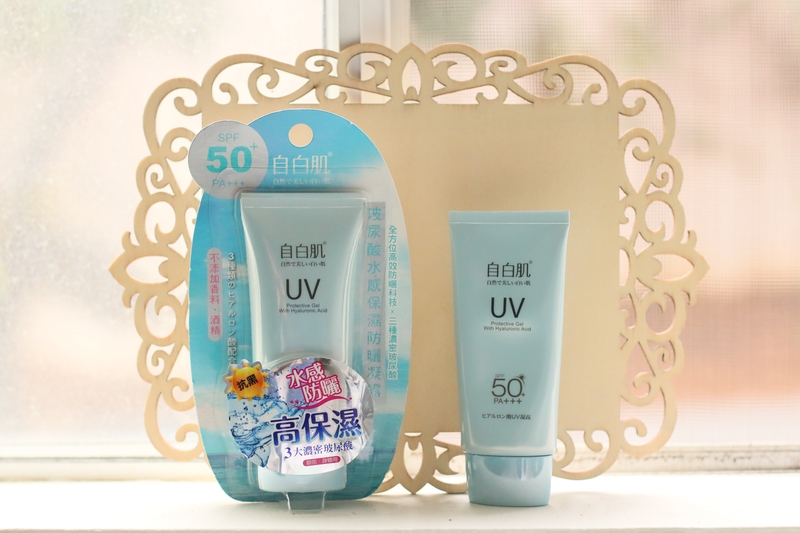 I encourage you to take a look at the brand next time when traveling in Taipei, along with other Taiwanese skincare brands that may not be as well known, but are highly efficacious as they cater to the demand of the local Taiwanese consumer, who expect quite a lot from their skincare products.